Forget Harry Kane, forget Dele Alli, Son is Tottenham's lucky charm at the moment. For a 13th time this season, Spurs have gone on to win when he has scored. He had a quiet opening 45 minutes but pounced when presented with his first chance. Moments before half-time, Zagadou could have been Dortmund's hero. Instead, early in the second half, he became the villain. As Vertonghen shaped to cross, the teenage defender allowed Son to find space and set Spurs on their way to a handsome victory on home turf. - This was Tottenham's joint-biggest Champions League victory, winning by a three-goal margin for the fifth time in the competition. - Spurs are the first English side to win a home Champions League knockout game against German opponents since Manchester United defeated Schalke in the 2010-11 semi-final. - Llorente scored just two minutes and 26 seconds after coming off the bench for Spurs. 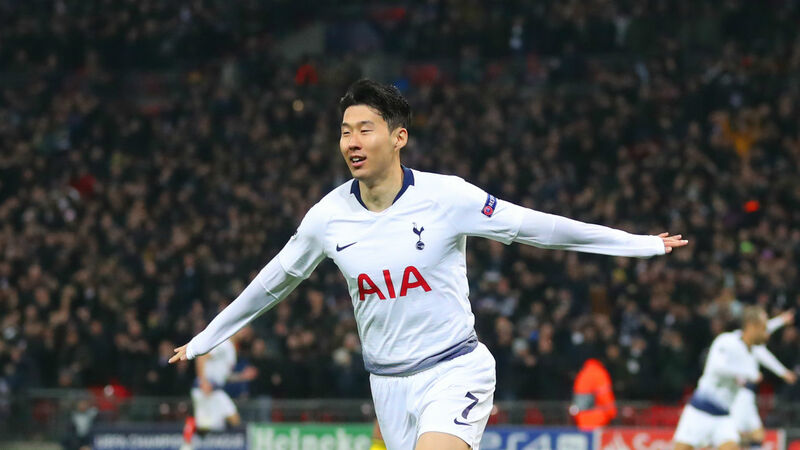 - Son has scored nine goals in 11 games in all competitions against Borussia Dortmund - more than he has against any other side in his senior club career. - For the fifth time in their history, Borussia Dortmund were beaten 3-0 in a Champions League game. The result equals their biggest defeat in the competition.